Taking a look at the long tradition of stories that have shaped Puerto Rican culture. 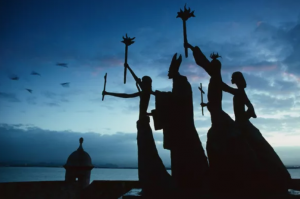 With a history spanning millennia, Puerto Rico is steeped in a multicultural mythology. From the Taíno to the New World, from the historic to the fantastic, there is no shortage of ghosts, monsters, pirates, conquistadores, and spirits in the tapestry of tales that help shape the boricua (or native) culture. 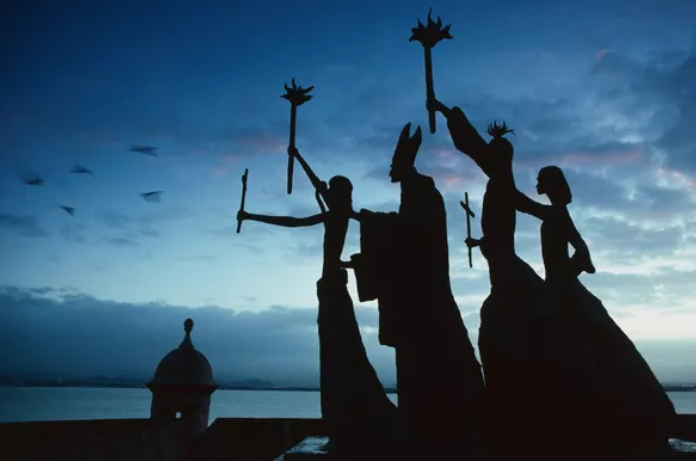 A beautiful sculpture in a quiet corner of Old San Juan depicts a solemn religious procession, commemorating one of Puerto Rico’s most endearing historic tales. In 1797, Sir Ralph Abercrombie and Admiral Henry Harvey led a British attack on Puerto Rico. Heavily outnumbered, San Juan’s soldiers manned their posts while Abercrombie’s troops advanced from the east. The outcome of the battle looked bleak, and the citizens of Old San Juan gathered for a religious procession. Legend has it that Abercrombie’s men saw the light from many torches in the distance and mistook the procession for a troop of Spanish reinforcements arriving to deliver the city. Deciding that he didn’t have the strength to overcome them, the British withdrew. The creature known as El Chupacabra has been terrorizing Puerto Rico, South America, and even parts of the U.S., for quite some time now. Chupacabra means “goat-sucker,” and this monster is known for sucking the blood of goats and other animals, leaving nothing but a carcass and two small puncture wounds to mark its deadly presence. Opinions vary as to what the creature’s physical description and origins are. Some say it’s green, others believe it is gray; some believe it has wings, others are convinced it’s an alien that landed in Puerto Rico. Even “The X-Files” featured it in one of their shows. 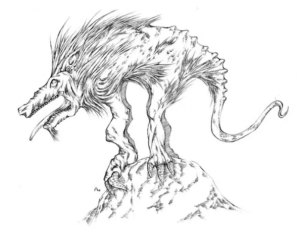 It’s a character shrouded in mystery, but even National Geographic has come down to investigate the Chupacabra. 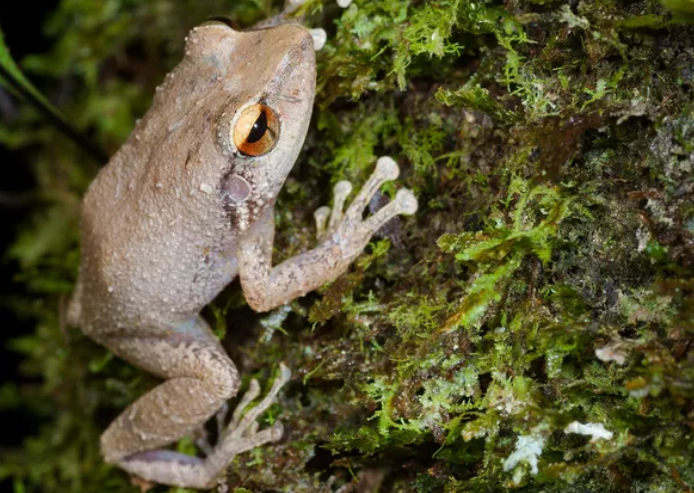 The USDA Forest Service actually corroborates the local legend of the “raining frogs” of El Yunque. 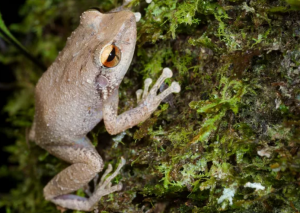 Apparently, one can indeed catch a shower of the tiny and musical coquí tree frog, the unofficial mascot of Puerto Rico. The truth is that the frogs do climb to the lofty heights of the forest canopy at times, and their natural predators, recognizing the behavior, lie in wait for them. Rather than scaling back down the trees to escape them, the coquís will leap into the air; they’re so light that they actually float down to the ground. “Raining frogs” indeed! At the end of Cristo Street stands a tiny chapel next to a park known for its roosting pigeons. 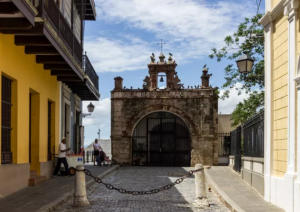 It’s certainly not the most beautiful religious building in San Juan, but the Capilla del Cristo, or “Chapel of Christ,” has an interesting tale to tell. In 1753, a young man by the name of Baltazar Montañez was racing his horse down Cristo Street. At the time, the street ended at the edge of a steep drop, and Baltazar and his horse rode right off it. The story goes that, as horse and man plunged to their deaths, Baltazar prayed to a Catholic saint for salvation, and the saint answered his prayer: the young man survived (apparently he didn’t pray for his horse). In reality, Baltazar died, and a chapel was erected to prevent further accidents. The legend of Guanina is historically relevant as the inspiration for the Taíno rebellion against the Spanish conquistadores. Guanina was a Taíno princess who fell in love with a Spanish officer named Don Cristobal de Sotomayor (a soldier who died in 1511, thus proving to the Indians that the Spanish were mortal). Guanina’s brother hated the Spanish and swore to kill Sotomayor on his voyage to Caparra. Despite Guanina’s warnings, Sotomayor undertook the journey and was duly killed. For her love, the tribal chiefs branded Guanina a traitor and chose to sacrifice her to the gods, but when they found her, she was already dead, her head resting on her lover’s chest. They were buried together beneath a ceiba tree. A bit of Romeo and Juliet with some divine intervention thrown in, the legend of the hummingbird tell of star-crossed lovers from rival Indian tribes. Alida and Taroo fall in love after meeting by accident by a pool in the forest. 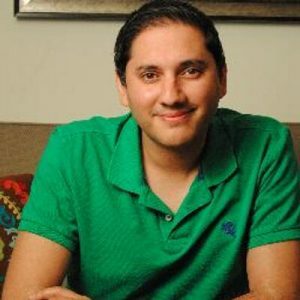 Alida’s father discovered their trysts and arranged a marriage to a man from his own tribe. The girl prayed to the gods to deliver her from this fate, and they complied by changing her into a red flower. Taroo, ignorant of her father’s machinations and his love’s transformation, waited and waited by the pool until one night the moon took pity on him and told him of her floral fate. 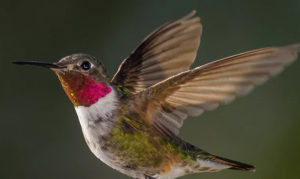 He begged the gods to help him find her, and once again they obliged, changing him into a hummingbird. Originally published by TripSavvy, republished with permission for educational, non-commercial purposes. 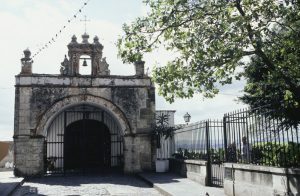 This entry was posted in History, Mythology, Puerto Rico, Religion. Bookmark the permalink.